We often take our garages for granted. With the click of a button, we can drive our vehicles into a covered room to protect it (and ourselves) from harsh elements. It’s a place to store power tools, Christmas decorations and sometimes converted into a man-cave or living space. But is it safe to keep our pets in the garage? Some would argue that there’s certain benefits to keeping your dog in an insulated garage while you’re away. 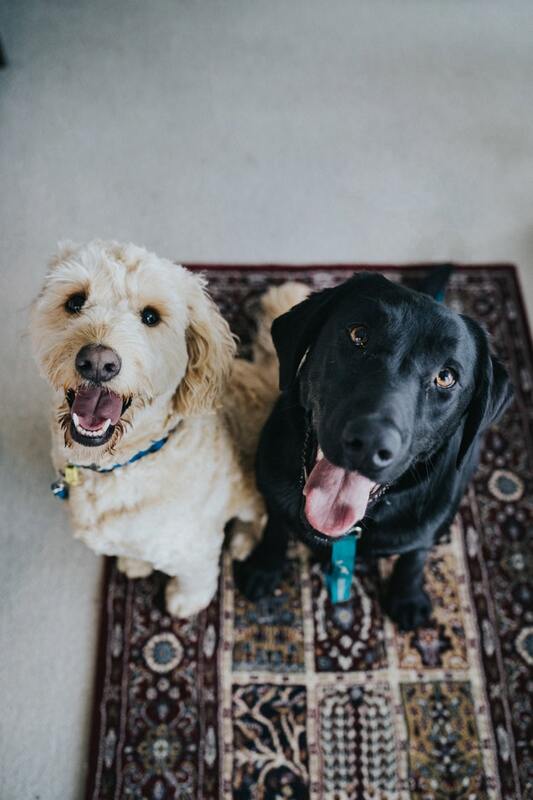 With a larger space to roam and play, providing some toys, food and water, and a place to rest can help to greatly reduce separation anxiety. However, without the proper precautions, the garage can be hazardous to your pet’s well-being. Before you fully commit to putting Fido in the garage, make sure you follow these # tips for keeping your pets safe. Pets can pull off some mind boggling stunts. When the door is raised, your cat could easily be hiding or sleeping in the space above the garage door. Your dog, on the other hand, might try to chew on the tracks or gnaw on some of the cables or peices attached to it. As a general rule, try to keep your pets as far away from the garage door as possible. Never tie up a leash to the tracks or door, as it could cause your pet physical harm. Additionally, this could cause damage and require you to get your garage door repaired or replaced if they tug too hard on their leash. As tempting as it is might be to tie them to the tracks quickly, even a small amount of pressure could cause alignment issues and pose a safety risk to yourself, family, and of course your pets. If you’re keeping your pet in the garage during the day, you’ll probably have to rethink your parking routine. Before pulling your car into the garage from the driveway, you should get your pet out of the garage. 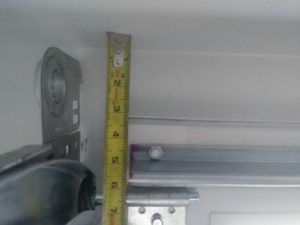 It’s important to always check the area around and above the garage door when raising or lowering it. Having your garage door serviced regularly by a professional at least once a year can help you to ensure that everything is running smoothly and that the safety features are working as intended. 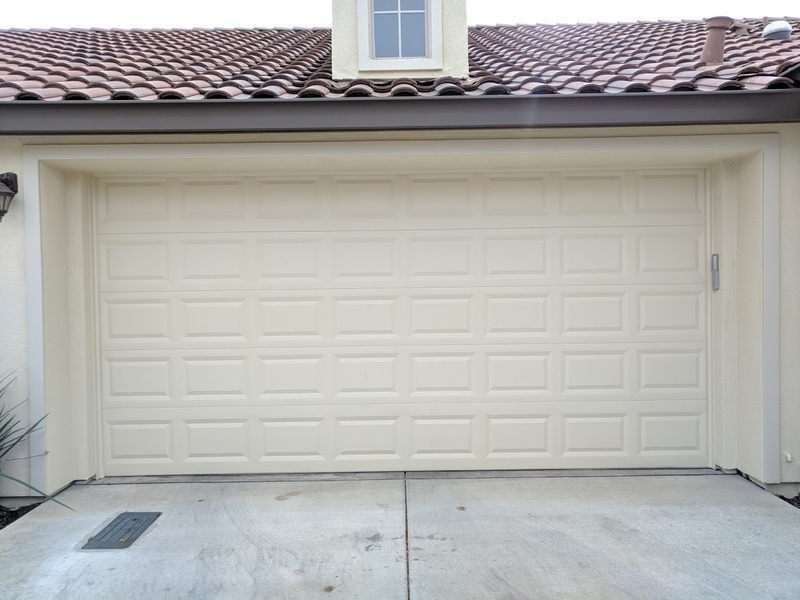 As a preventative measure, test your garage door’s functionality every so often. You’ll want to double check that the built in safety features, like the reversal system, works properly in case your pet gets in the way of a closing door. The layout of your garage can be a hazard to your pet’s health if certain precautions aren’t taken. Follow these quick tips to ensure that Fido has a safe environment to play and live in, even if it’s just temporary. If you can avoid it, it’s best to not park your family’s car in the garage. Especially for cats during cold months, the warm engine can be a tempting place to hide and sleep. If you do need to park your car in the garage however, always make a loud noise before starting your car to wake your cat up and wait for them to crawl out from underneath. Check underneath and around the vehicle before backing up to ensure that your pets are always safe. Common garage chemicals like petroleum or anti-freeze pose a highly dangerous threat to your pets. With some garages baited traps for bugs or rats, there are many health-threatening compounds that need to be removed or secured before you let your pets loose. 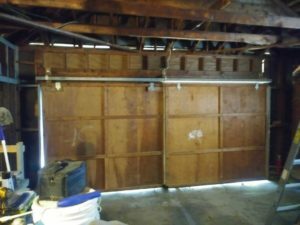 The only way to know about everything in your garage is to do a deep cleaning. Remove the items, wash the floors, and wipe down other surfaces. Sort through your items and plan a unique layout to maximize your garage’s storage space and give your pets more room to dwell in. You should store harsh chemicals and sharp tools in sealed bins or in sturdy storage cabinets. It’s best to keep your harsh chemicals up high to prevent your dog getting to them if they tear into the bin or cabinet while you’re away. Even if you lock your chemicals away, a leak from your car can be sniffed out and consumed by your pets. 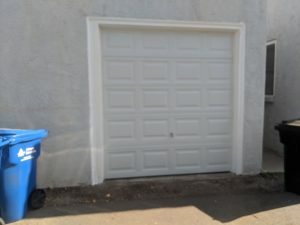 This is another reason why removing your car from the garage altogether is the best preventative solution. If you have an active dog breed like a German Shepherd or a Greyhound, they will likely need access to a yard throughout the day. Installing a dog door to a side entrance of the backyard can be beneficial for dogs who will be alone for longer periods of time. 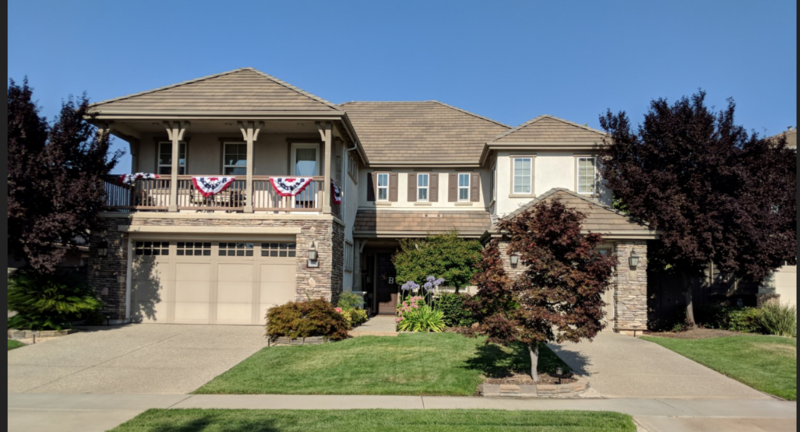 For high-energy, athletic puppies, you may want to consider moving to a Roseville home with a big yard. Often times, behavioral problems like chewing and hyperactivity in dogs can be corrected when they have enough space to exercise and play. Cats on the other hand might feel more comfortable with places to climb and perch, or areas to hide and sleep. Carefully consider your pet’s needs to consider other ways to help them feel more comfortable while you’re not home. Age, breed, and your time away from home are variables to look at when making the best decision for your pet. 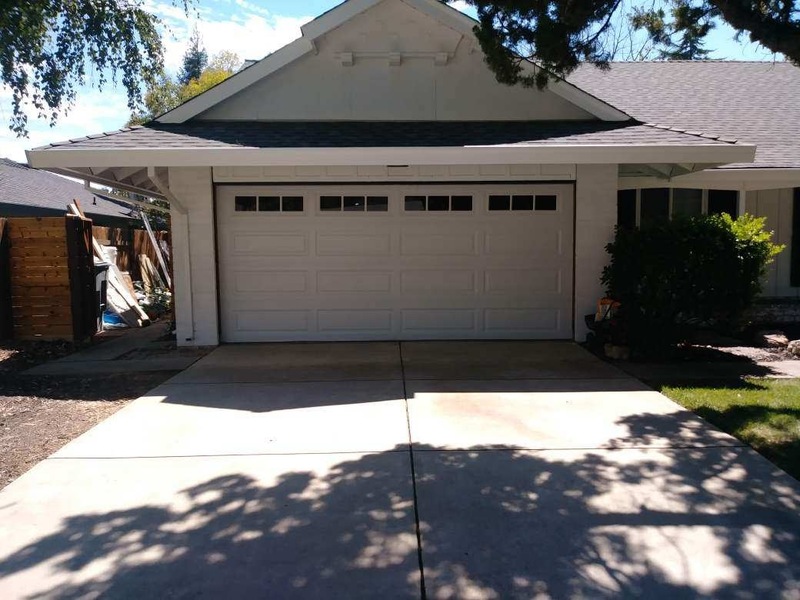 Scott was working on a major remodeling project on his house which included a new garage door installation. Due to some local regulations, he was unable to lift his ceiling height over his garage, which left him in a bit of a bind. 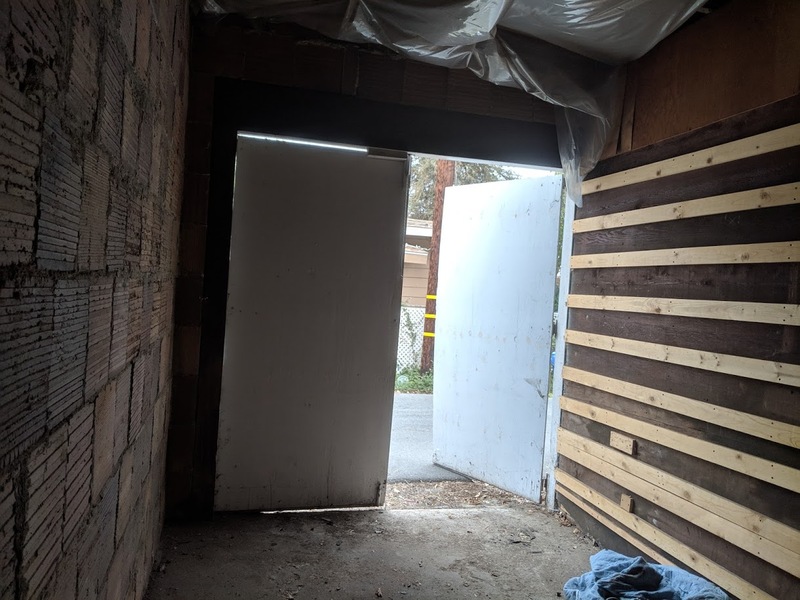 As you can see, there is zero clearance for an overhead garage door in the current setup and Scott was unsure of what to do. 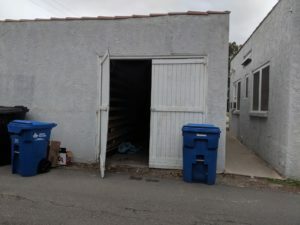 After calling around, he wasn’t able to find anybody that could install a garage door for him. Thankfully, Scott called us and we gave him the good news that we could do the project for him! 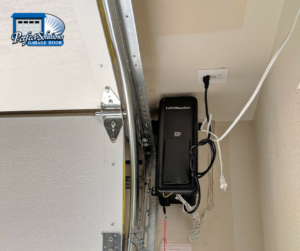 We were able to install the garage door and the garage door opener using a technique called a rear torsion spring system. We used some special brackets, custom length cables and other adjustments to make it work perfectly! 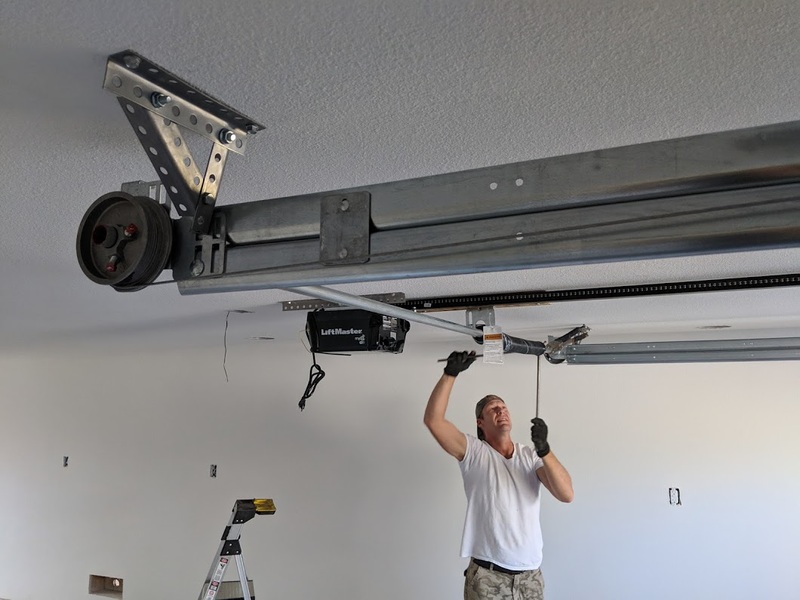 A rear torsion spring system is perfect when there is low head room in a garage. Track sets come in bolted and riveted solutions and suitable for panel overhead doors. 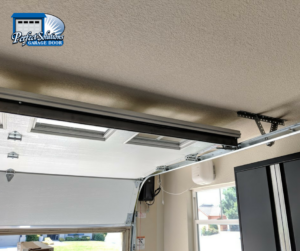 If you aren’t able to install a rear torsion spring system on a low head room garage, you’ll need to install extension springs. If possible though, we recommend torsion springs, both in this case and in all regular head room garages. Torsion springs last longer and are stronger. Torsion springs give better control while in motion. Extension springs “extend” when moving and torsion springs turn. Extension springs require more parts, which means more opportunities for things to go wrong. Torsion springs will wear less on your opener. When torsion springs break, they don’t fly off like extension springs can. Flying off can damage cars, other property or even a person who is in the garage when it happens. In the end, Scott got the door that he wanted installed along with a great LiftMaster garage door opener! Our customers have a lot of renovations to do on their new to them home. 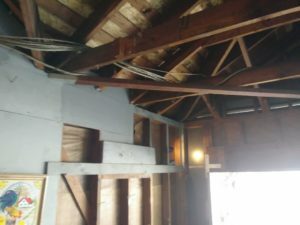 The home hasn’t been updated since the 1960’s so they have a lot of work cut out for them! 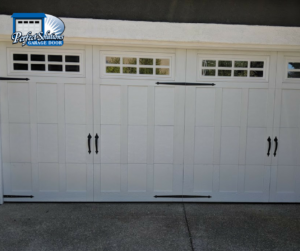 When they made it to “replace garage doors” on their list, they gave us a call! 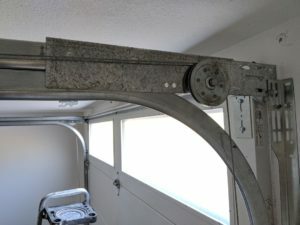 The challenge for this project was to remove the center support that existed and reinforce the header in their garage. 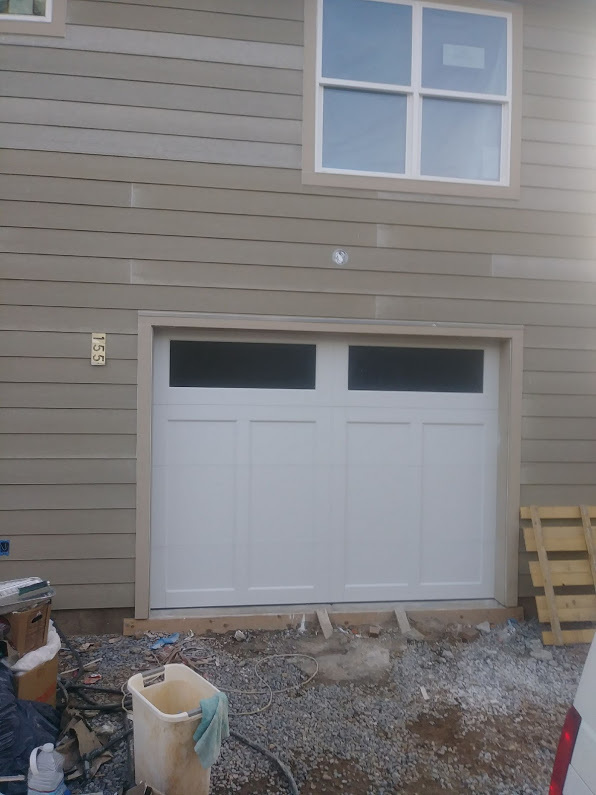 Once the structural work was taken care of, we were able to install their new garage door. 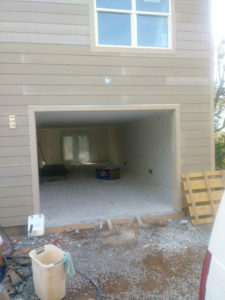 They chose a 25 gauge garage door for durability and insulation. This will be nice in the hot Roseville summers! 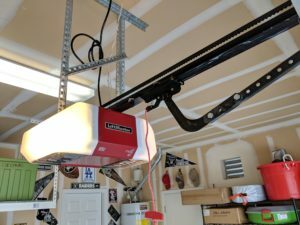 We paired that with a Liftmaster 8355 belt drive opener for a quiet and low maintenance garage door opener. 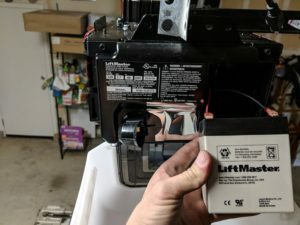 They are enjoying the upgrade of being able to control the opener from a smartphone and the automatic light that goes on when they enter the garage! We also installed plywood on the header of the garage and the sides of the garage to make it look more aesthetic. 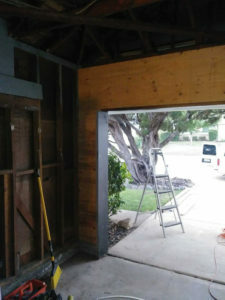 It helps structurally and also gives garage some character. The results are amazing! The door is white instead of dark black, so the home looks fresher and cleaner than before. And the brand new door gives the home some great curb appeal and added value! Plus, now that the door is more secure and updated, the homeowners can park inside and open the door with a push of a button instead of getting out and lifting up the door by hand. We also added an upper panel of windows that lets in natural light and gives the basic door a more custom and updated look. The windows can be customized to match your preference, frosted or glazed for privacy, etc. They come in different shapes and styles as well. Our customer Melody just bought her first home. She is loving home ownership! However, once she lived in the home for a few months and started working out in the garage, she noticed she was lacking natural light in the garage. 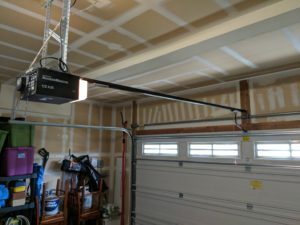 It was frequently dark in the garage and she was craving some more light. 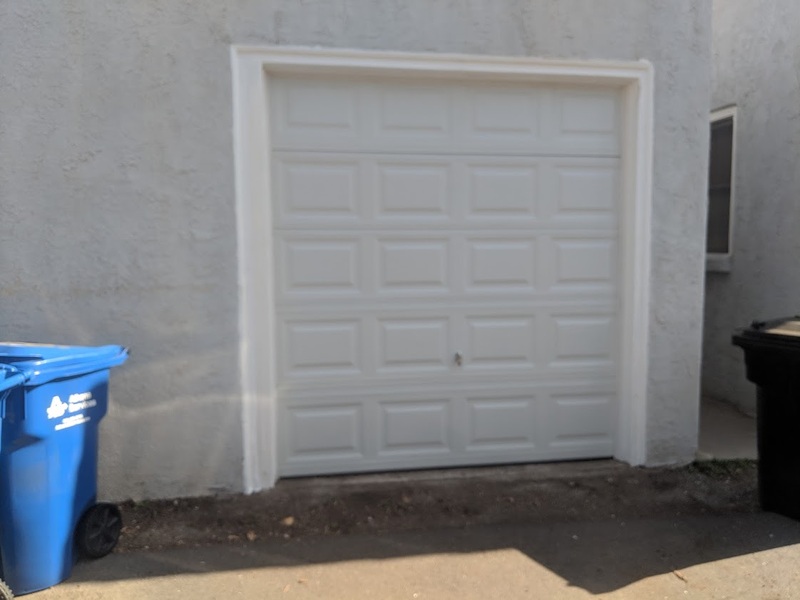 She didn’t have the budget to replace the garage door completely. 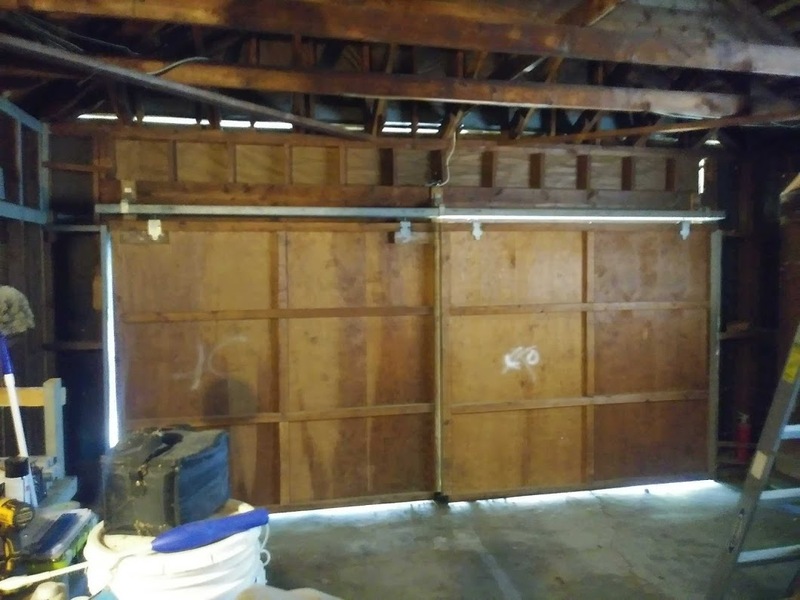 Her garage door was also in really good shape, so replacing it would be a waste of money and material. 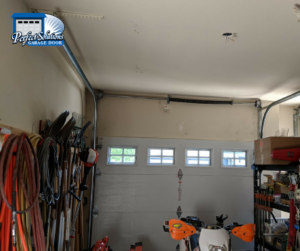 She gave us a call to see what options she might have to adding some natural light to her garage. 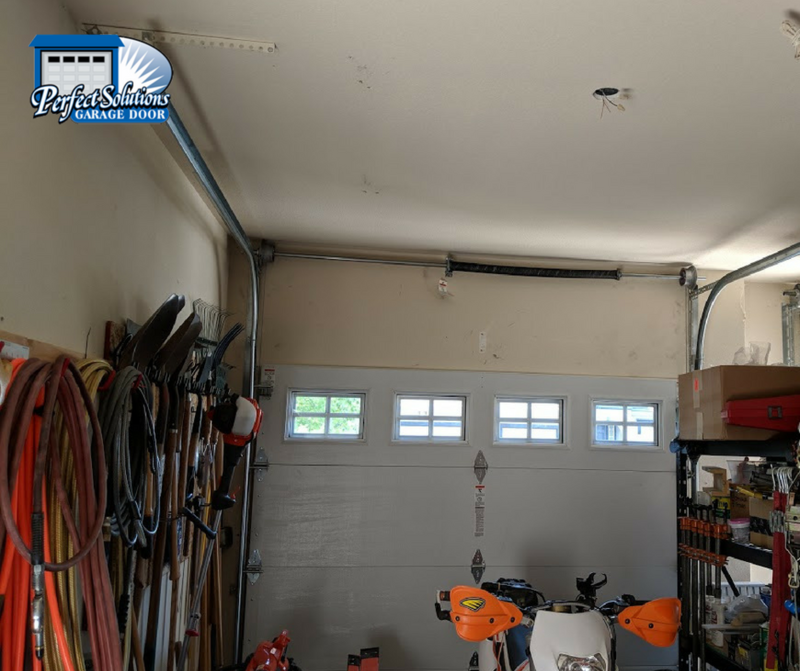 We gave Melody the great news that we could easily order a top panel for her garage door with windows, so she could get the natural light she wants without the expense of a total garage door replacement. We put the order in for the upper panel and it arrived the same week. 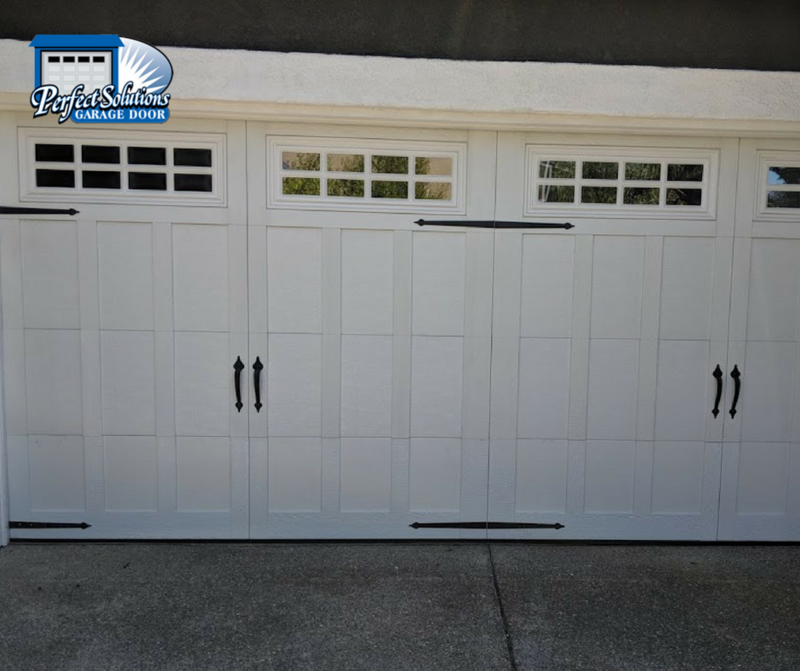 As long as your current garage door is still being manufactured, it’s never a problem to get a new panel for your garage door. 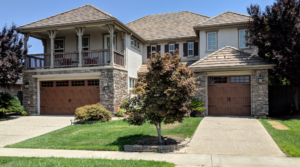 Whether you want to add windows like Melody or you have damage or a dent in a panel, replacing a panel or two is a very easy project, and always more affordable than replacing the entire door. 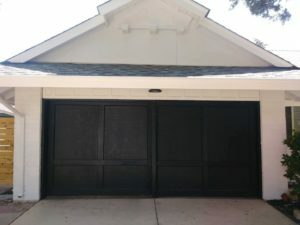 It can also customize the look of your garage door! Melody is very happy with her new panel and all the natural light she gets now into her garage! Now all Melody needs to do is paint the panel to match the rest of the door or repaint the entire door to get a new look. 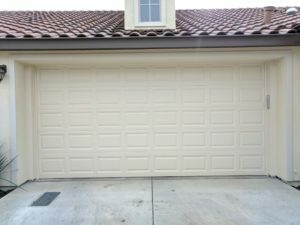 Painting your garage door is also a great, and inexpensive way, to upgrade the curb appeal of your home. Our customer, Brian, wanted to install some shelves and a car lift so he could work on his bikes in his garage. The solution for these needs is to raise the tracks up to give more clearance, and accompany the raised tracks with a jack shaft opener. The LiftMaster 8500 jack shaft opener installs on the wall, not on the roof of the garage. This allows for the clearance Brian needs to work on his bikes and add some shelving. We got to work installing new steel back insulated garage doors with dual pane glass on the upper panel. 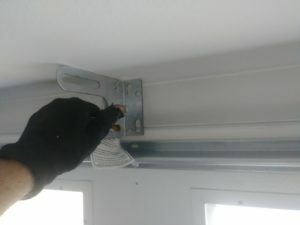 The steel back doors are sturdy, resist rust and help keep the garage insulated against extreme weather. 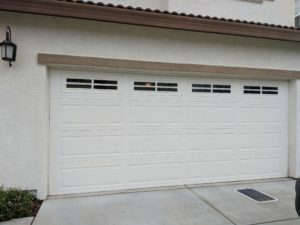 With Brian’s attached garage, he will see a lower energy bill as well due to the insulated garage doors! The dual pane glass window panels will also keep the heat and cold out of the garage and offer some great natural light to boot! Below you can see the difference between single and dual pane. Brian is very happy with his new garage set up and we are too! We get many requests for high lift conversions, for a variety of reasons. Many people like to store their RV and campers in their garage, so they install a high garage door, which requires a jack shaft opener and higher tracks to allow for the RV or camper to clear the opening. Others like Brian want to install a car lift and need clearance. Some others have weird garage setups and need high lift tracks in order to access the entrance to the house. Whatever the reason, installing a jack shaft opener and raising the tracks is an easy job and can make a world of difference in your garage! Ryan and his wife gave us a call because they had plans to paint their house and the current condition of their garage doors necessitated a paint job for them as well. Their goal was to give the exterior an upgrade, so they figured they would paint the doors to go with the new house color. 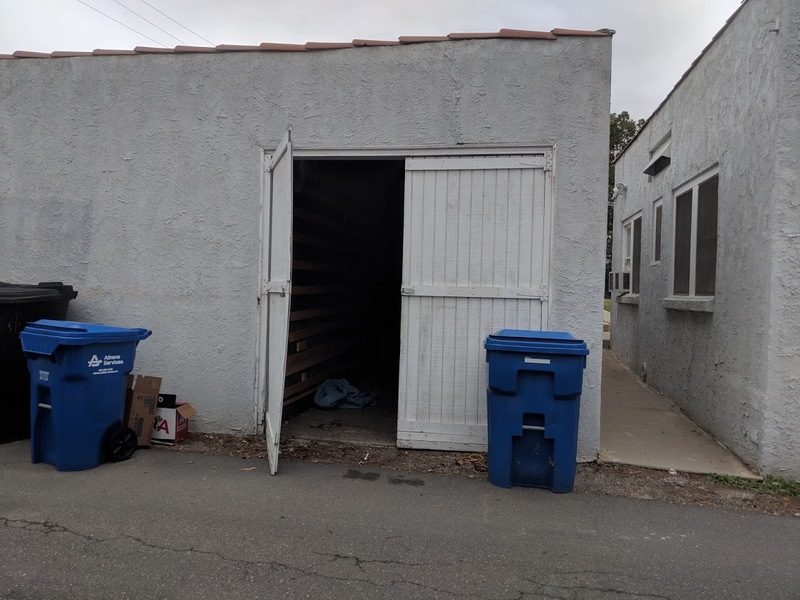 During our initial visit and inspection, we saw that the existing garage doors were in pretty bad shape. The overlay outside was falling apart due to extreme exposure to the sun. Additionally, the doors were not balanced properly since the torsion springs were old and the existing hardware (the rollers, hinges and cables) weren’t sufficient enough to carry the weight of the doors. 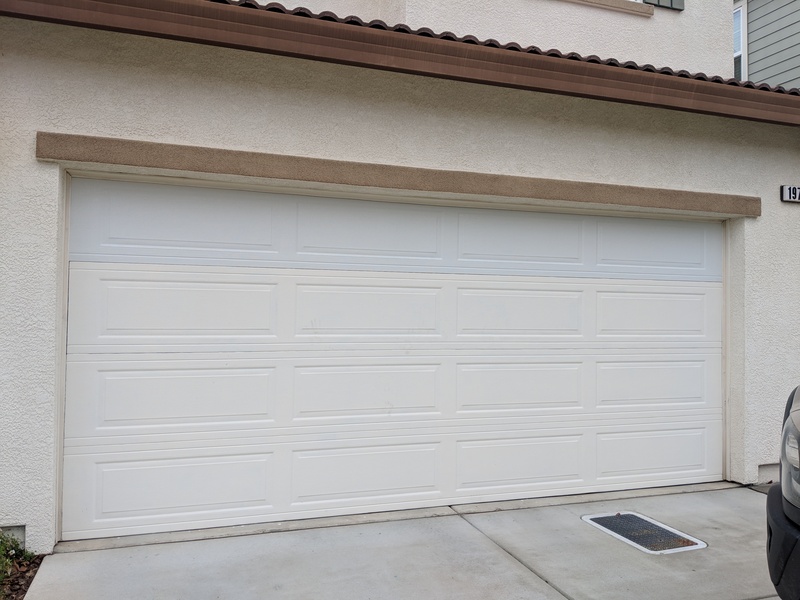 After calculating the cost of the replacement of the damaged panel and spring replacement, Ryan suggested that we might just go in a different direction and replace the garage doors instead of repairing them. 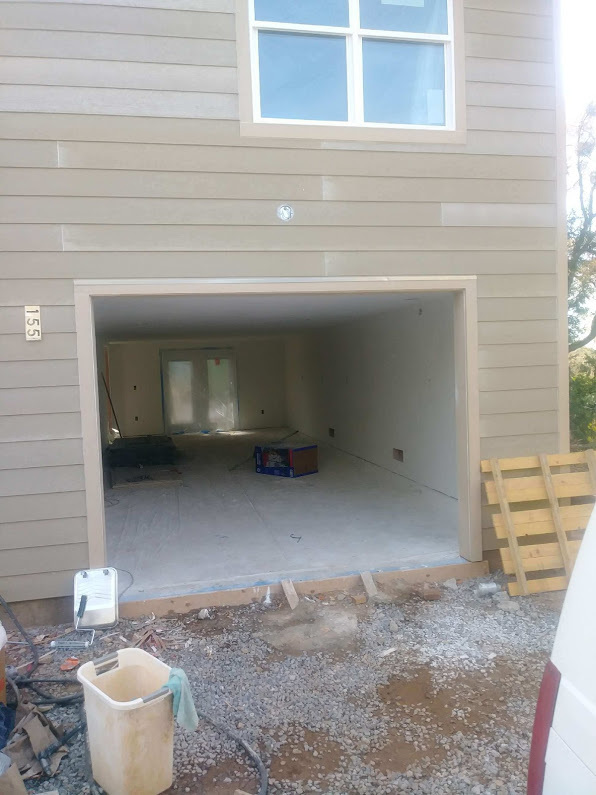 Now that new doors were on the table, they had to think about what kind of garage door they wanted. 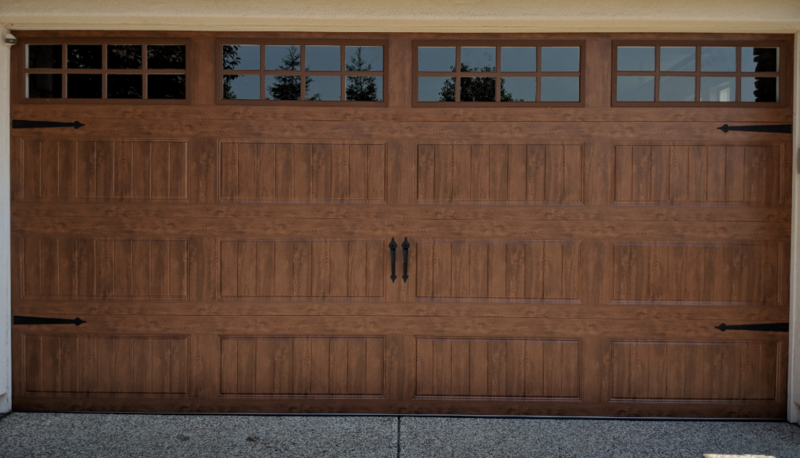 They landed on this wish list: low maintenance garage doors that are durable, quiet and above all – beautiful. We stepped outside and examined the house. The key for a successful match of a garage door is to choose a style that corresponds with the house, hence the right design, the right windows, and the right paint. After comparing paint samples and choosing the type of insulation and construction we decided to go with Clopay Gallery Series in a dark oak finish. One of the reasons we love working we Clopay is the lifetime warranty they give to their paint system. Perfect for the hot Roseville summers! Ryan’s house gets a lot of direct sun and he wanted a door he wouldn’t need to repaint every few years. A week after the end of the installation, we called Ryan to follow up and he told us that the new design definitely made an impact on the neighbors and that he and his wife are very happy! 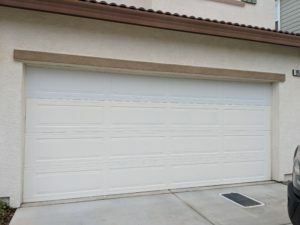 We tend to only care about our garage doors when something goes wrong and it is in need of repair. However, your garage door is expensive! And it’s something you use every day. Taking time to care for it can help keep it working longer, and can also help catch a problem early before it becomes a bigger problem. 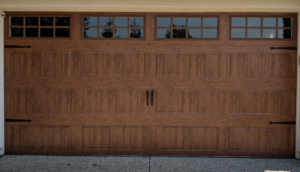 Here are a few things you can do to help take care of your garage door. Even if you have a professional company come out one time a year, it’s a big step in the right direction. 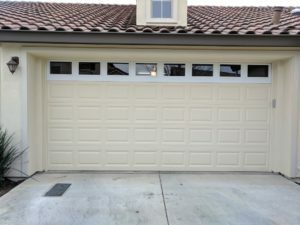 Many garage door companies offer a maintenance option. 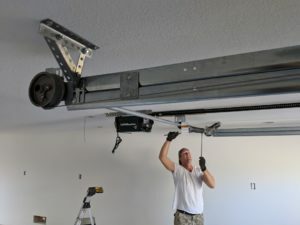 They will come out and ensure the opener is set properly, that the garage door is lubricated, and all the hardware, tracks and rails are functioning as they should. 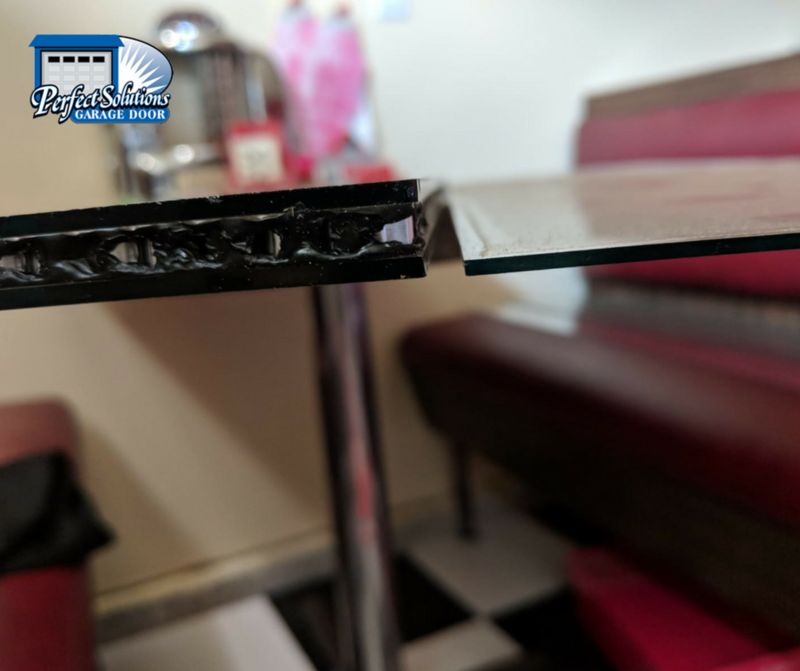 Even taking care of some minor repairs yearly can avoid the costly expense of a big problem later on. 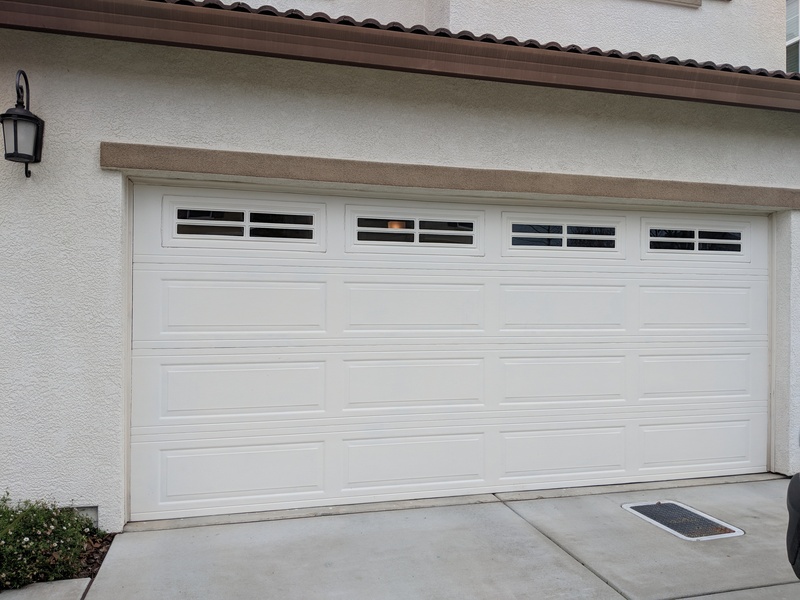 You can also give your garage door some love once a month just with your eyes! Is there any paint peeling? Schedule a painter ASAP if so, to avoid rust and unnecessary wear. Everything looking good – the door is running smoothly on the tracks? You hear anything that doesn’t sound normal? Does all the hardware look tight? You can take a moment to wipe down the tracks, rinse off the door and clear any cobwebs from corners. 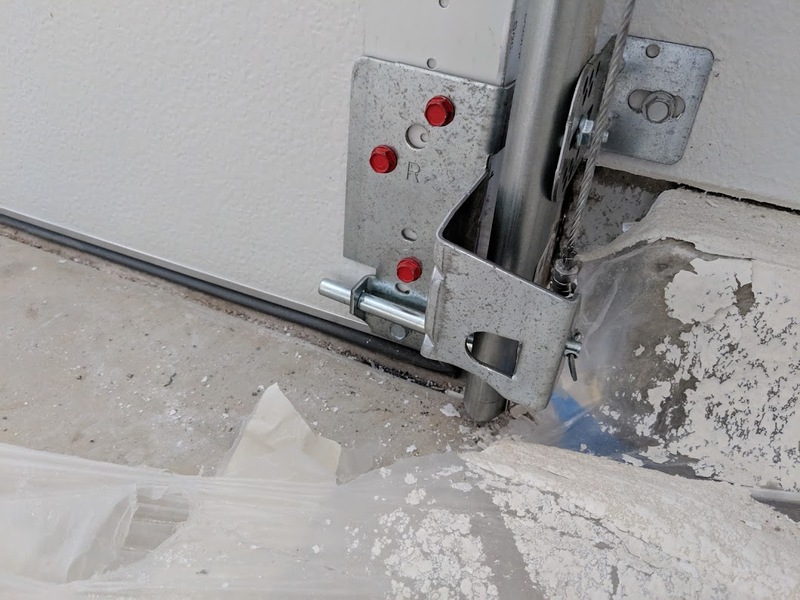 You can have a professional garage door tech do this for you during a maintenance call, or you can do this yourself. A good rule of thumb is to do it every time the season changes or once a quarter. Even twice a year is better than nothing! We recommend using a silicone based lubricant and grease your garage door wires and cylinders. This will help your garage door open and close properly and smoothly. 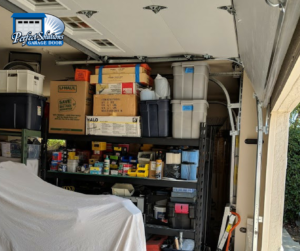 As you can see, there are a few things you can do once a month or quarter to help keep your garage door working well and avoid any costly big repairs that come out of the blue! If you are in the Roseville or Sacramento area, give us a call and we are happy to come perform a maintenance service for you!